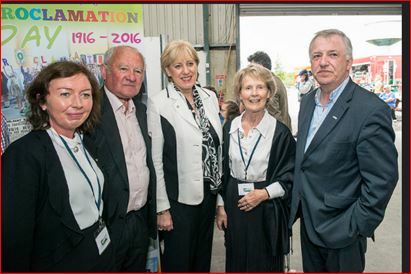 The Farming and Country Life Event in Athenry on 10th and 11th June 2016 was a commemoration of farming and country life in Ireland one hundred years ago. Seven thematic villages were built to depict various aspects of life in Ireland including the land, farm family life, sporting and cultural life etc. 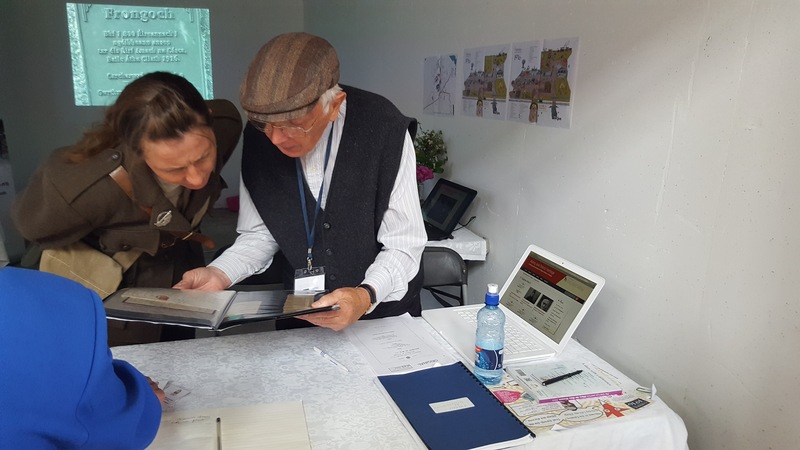 One of the seven villages under the direction of the Galway County Council Heritage Officer, Marie Mannion, focussed on 1916 from the historical point of view and was situated in a life-sized GPO replica building. 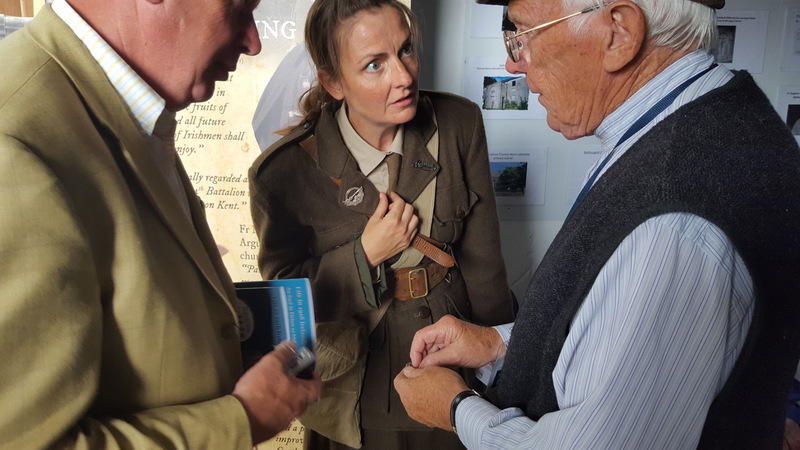 Abbey Heritage was one of several Heritage groups from across the county invited to participate in this village and to mount an exhibition to mark the involvement of Irish people in some aspect of the 1916 rising or the first World War. The Abbey Heritage exhibit dealt with the contribution of a Galway man, Ballinakill native, Fr Eugene Nevin CP. He was closely associated with many of the leaders of the 1916 rising as he was based in the Passionist Monastery in Mount Argus in Dublin at the time. The following photographs taken at the Abbey Heritage stand give a flavour of two great days at this excellent event. Photos taken by group participants, Noreen Shiel and Eileen Keane. 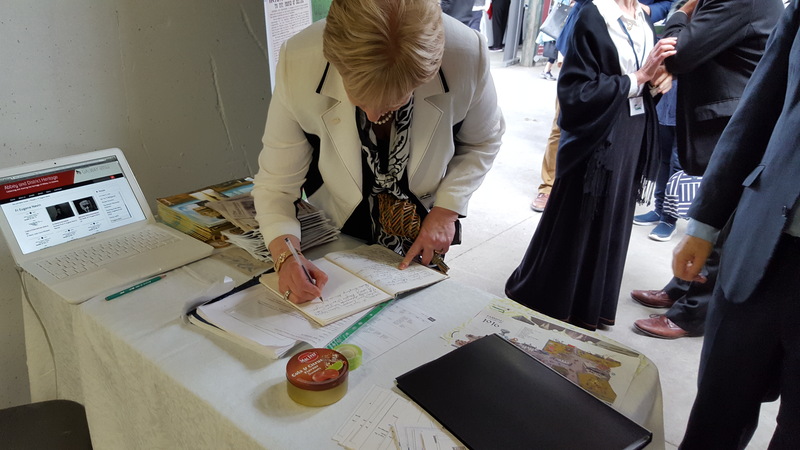 The Minister for Arts, Heritage, Regional, Rural and Gaeltacht Affairs, Heather Humphries, visits Abbey’s stand at the Athenry exhibition. An acting Cumann na mBan volunteer examines some of the 1916 memorabilia on display at the Abbey Heritage exhibition. Examining a gold coin given by Mrs Pearse to Fr Eugene Nevin. 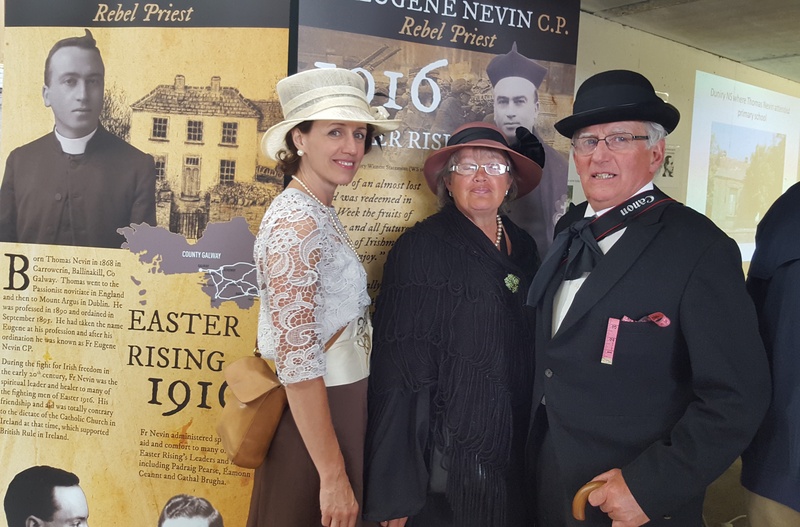 Visitors to Abbey Heritage Exhibit in 1916 GPO Village, Mellows Campus, Athenry. 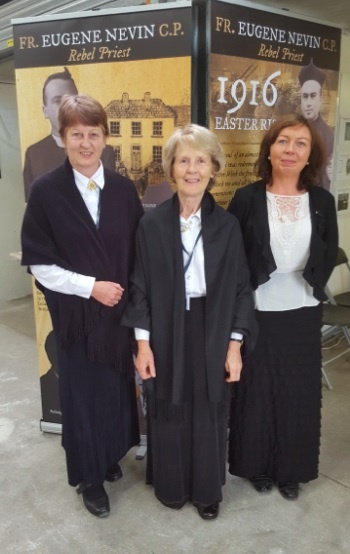 Abbey Heritage ladies, Noreen, Frances and Eileen man the Fr Eugene Nevin stand at the Mellows event in Athenry. This page was added on 04/01/2017.